Gift subscription to your Twitch channel from 1 to 3 levels of your choice! Subscription Level 1 makes you a subscriber to the channel of the tape drive and gives access to all smiles, 30 days are valid! Subscription level 2 subscription makes you a subscriber to the channel of the tape drive and gives access to all smiles, valid for 30 days! (+ 1 additional smiley that regular subscribers don't have). Subscription level 3 makes you a subscriber on the streamer channel and gives access to all smiles, 30 days are valid! (+ 2 additional smileys that regular subscribers don't have). 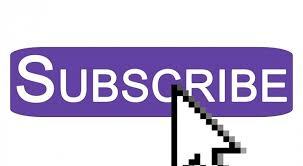 If you are already a subscriber with a streamer, we will not be able to give you a subscription, since you can give a subscription to all but already existing subscribers, please order a subscription to channels where you are not a subscriber!